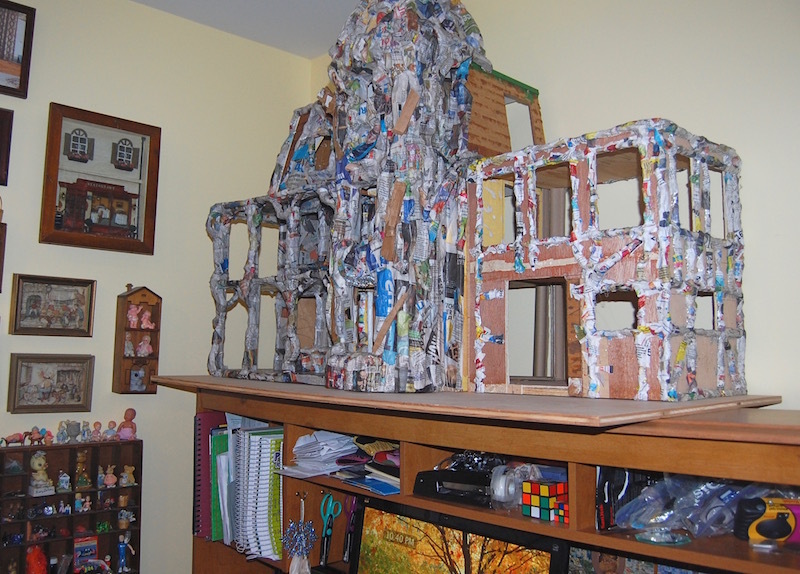 I attached the extension and I covered the house in the first layer of paper mache. Yes, this is the embarrassing stage. It looks like a kindergarten project - not something a grown up would make. I do have a rough vision of what this should look like one day. 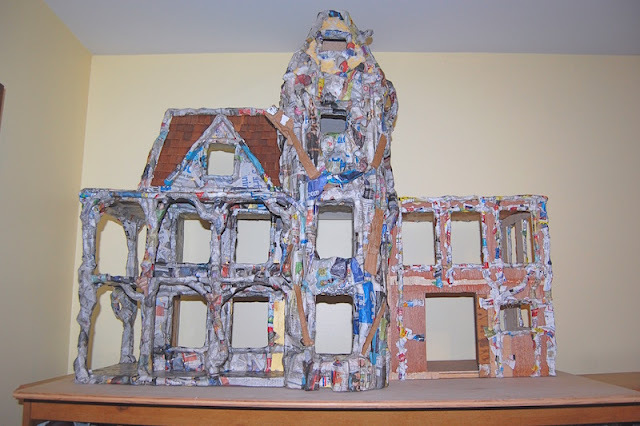 This house will now sit up above my desk for a few weeks to make sure it is completely dry before I add anymore layers. I think I will make a back for this dollhouse. The new windows are rather large and you can see too much background. Anyway, it will help keep out dust (and inquisitive little kitty cats!). 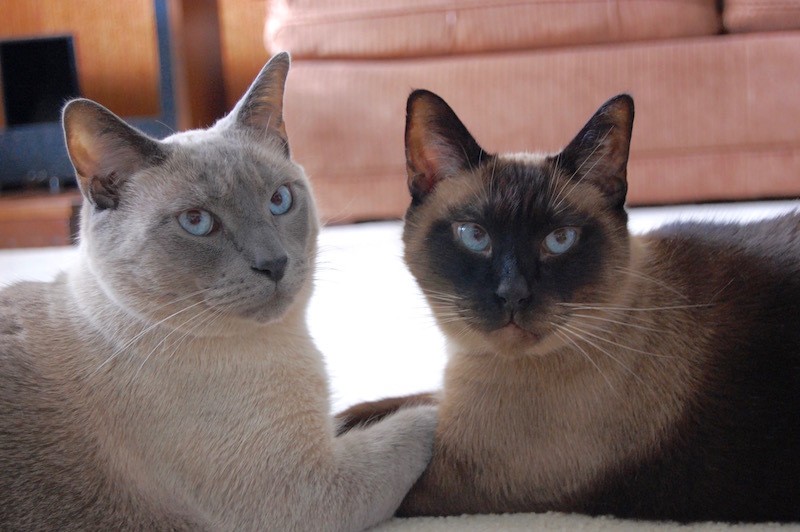 Speaking of whom, here is a quick pic of my boys. Oh Sam, it looks just like an old derelict building now, but I know it will be super wonderful when it's finished. Do we really have to wait that long? This is going to be so neat and I can't wait to see!!! The house is coming along nicely. What a lot of work you are putting into it. Your boys do have a look on their face, don't they? Like "What, you plan on keeping us out of the dollhouse?? Whatever for?" It is looking great! Absolutely no reason to be embarrassed! Those are 2 very handsome boys!